Sales ITV, the world’s largest online sales training giant, based in Australia that focuses on delivering world-class sales training. The client has a proven sales coaching methodology and an interest in a user-friendly and responsive app, which helps in viewing and managing training videos. The client wanted a trustworthy and strategic partner to help manage and support the enhancement of their technology initiatives. The company was unsure of how to manage their technology requirements to support their fast growing business needs. In spite of having a strong desktop based site to suit their business purposes, they wanted to create an app that could manage all their training videos and customer activities effectively. 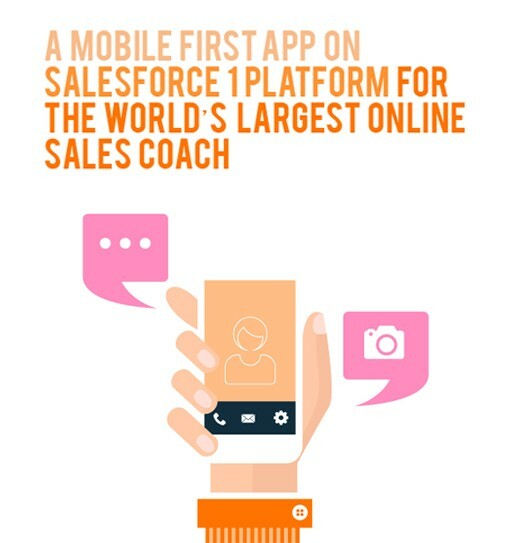 Here’s a case study on how a mobile first app on Salesforce 1 platform for the world’s largest online sales coach was developed and delivered. To read the whole story, download the case study now!